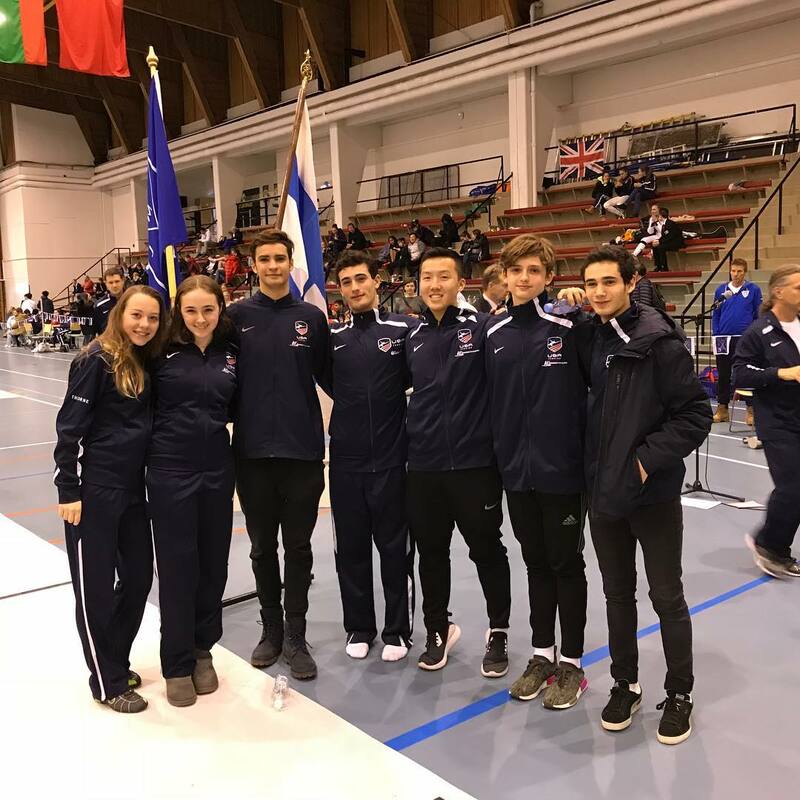 We are super proud of our students who represented Team USA at the Cadet World Cup in Espoo, Finland – Congratulations to all! Alan Temiryaev – earned Silver in the individual event – just one touch short of the champion title! 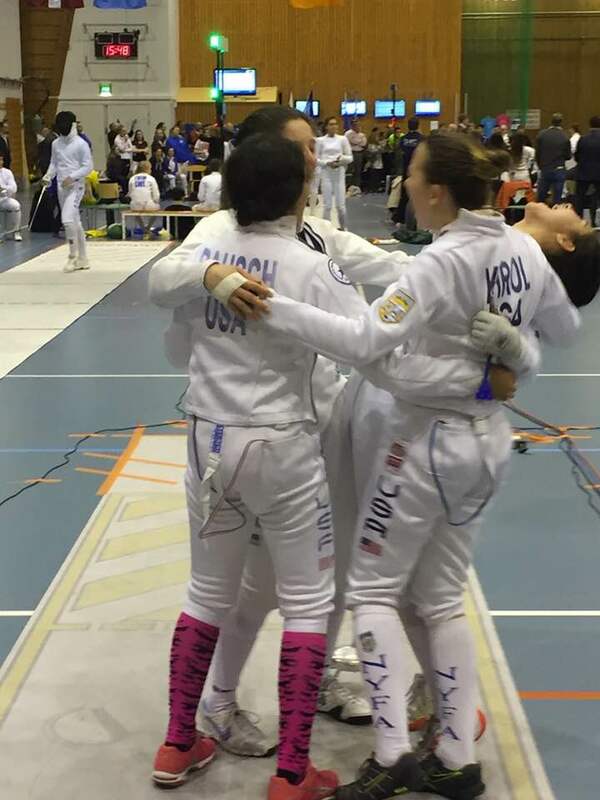 Jackie Khrol – earned Bronze in teams! 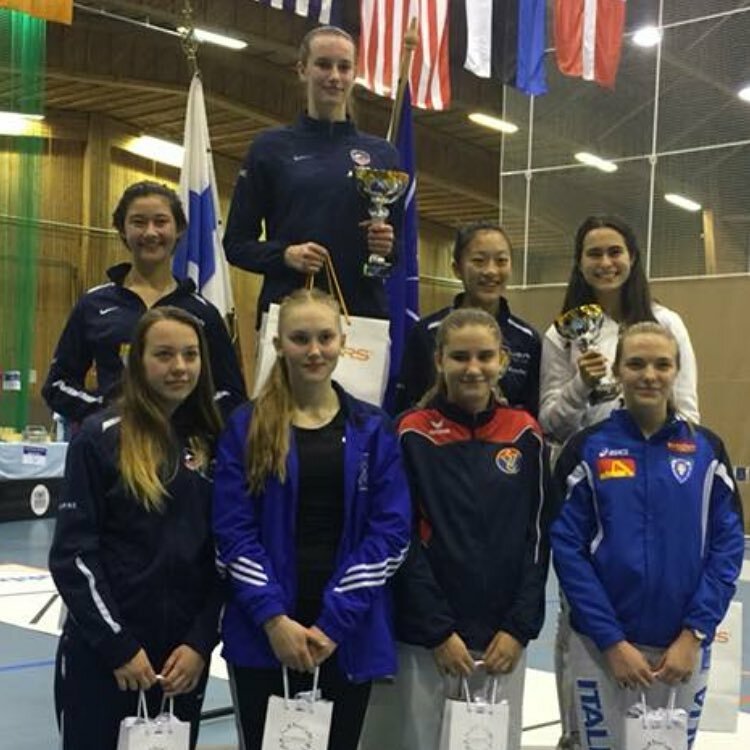 She also took 5th place in individuals – just one touch away from bronze – fantastic fencing at only 14 years old! 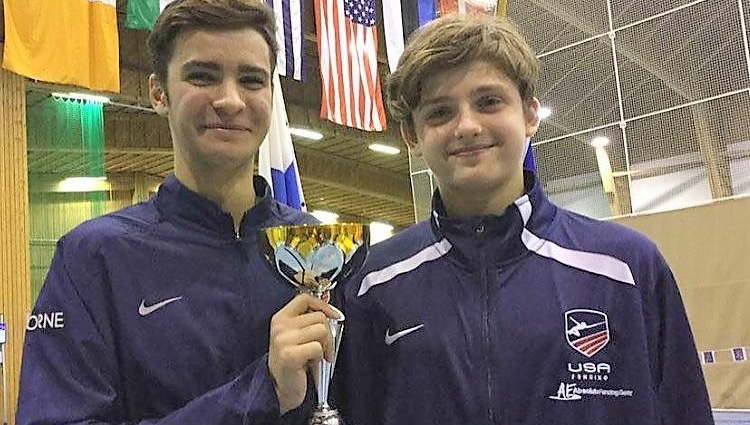 Ethan Kushnerik – finished 7th out of 141 in individuals – also just 14 years old and one touch away from bronze! In teams, Ethan really showed impressive anchoring when he scored 21 points in less than 3 minutes! 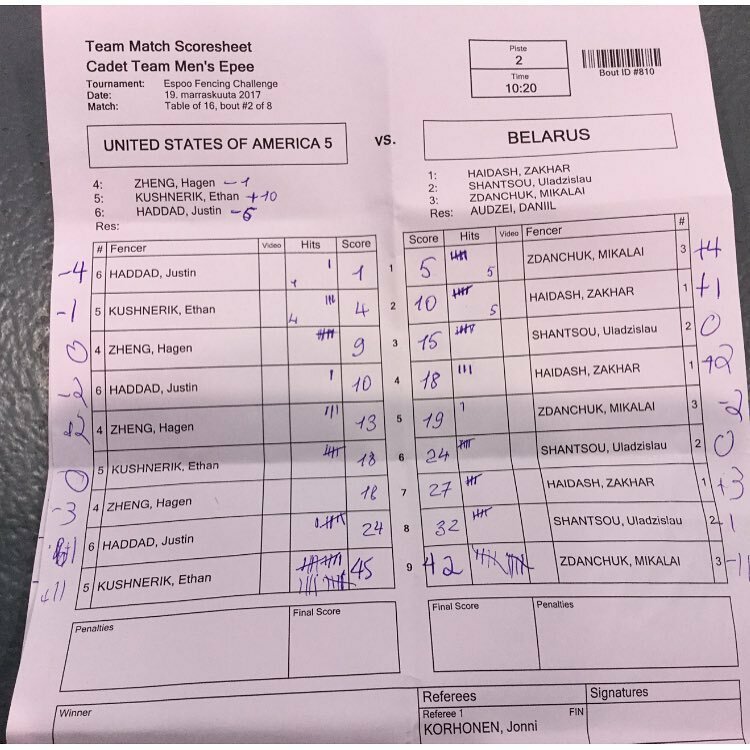 USA Team 5 was down by 8 points at the top of the 8th round, but Ethan’s incredible fencing secured the win against Belarus 45-42! 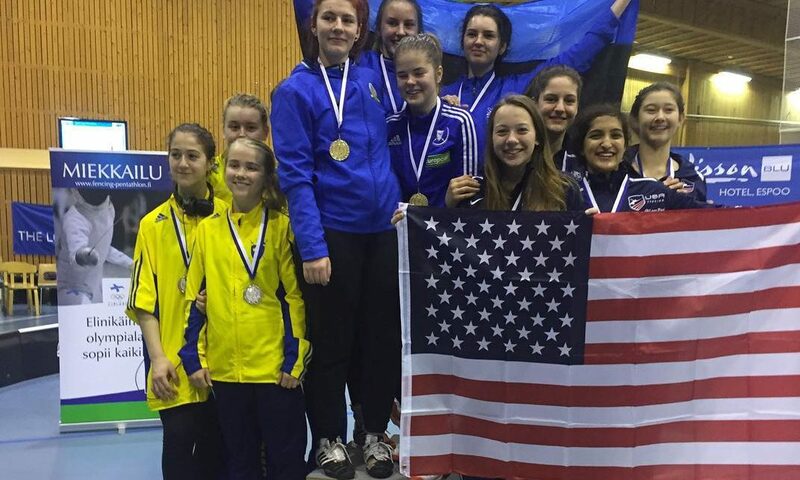 Melanie Dolgonos – made Top 32 in individuals despite a rough start, and earned her international points! Anna Lanzman – finished 77th out of 140. Unfortunately, she had to fence with borrowed equipment because her bag got lost, but we’re sure Anna will make us proud many times in the near future. Click here for our press release with many more details on the individual events.